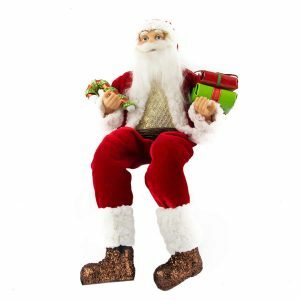 Santa hopes he is up and feeling better soon, and he would never miss a Christmas eve journey. 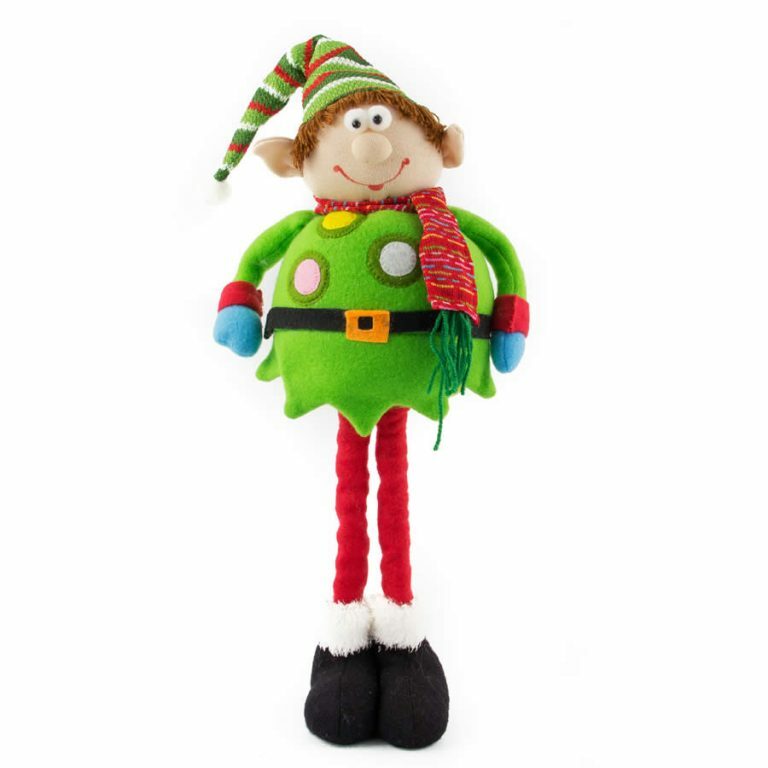 This Get Better Santa Sc Collectible depicts the great lengths that our favourite elf will go to in order to make his trek across the globe this holiday. 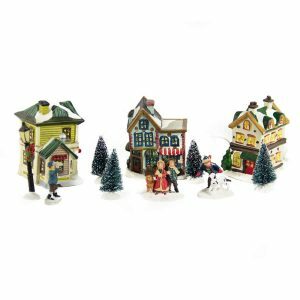 Measuring around 18cm wide by 14cm in height, this charming ceramic is a must for anyone who loves and adores Saint Nick. He is seen in his night-shirt with a thermometer sticking out of his mouth. He better get back in bed and rest, as he will need his strength to deliver all of those toys this Christmas! This ceramic accent is painted in intricate detail and vibrant colour. 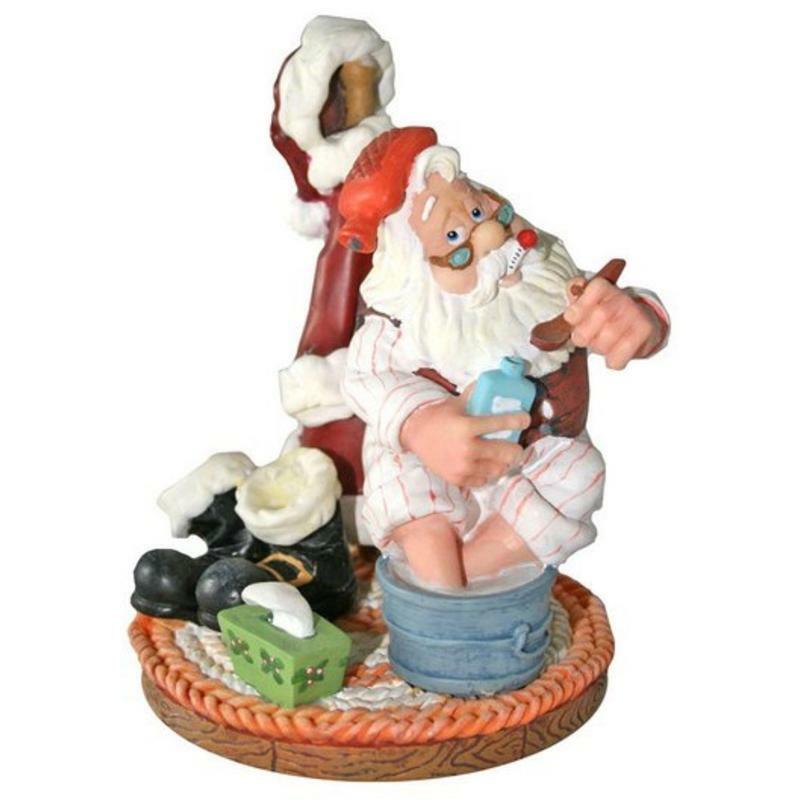 As Santa soaks his feet, he pours himself a nip of medicine and keeps his tissue box nearby. This old chap won’t let anything prevent him from delivering all of the toys to all the good boys and girls this holiday season. Give this fine figurine to a collector, but be sure to keep one for yourself!